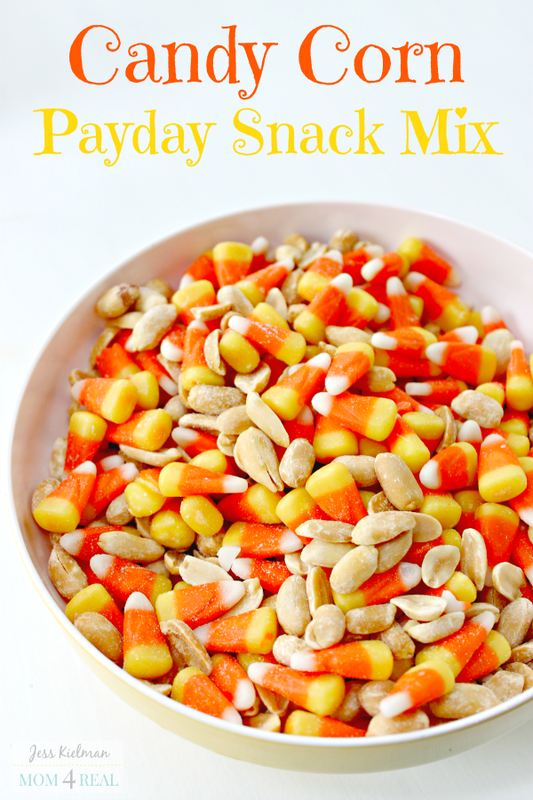 As soon as I see those tri colored candy corns at the grocery store, I know it’s time for my favorite Candy Corn Snack Mix that tastes just like a Payday Candy Bar! There is something about the mixture of the sweet candy corns and salty peanuts that makes my taste buds sooo happy. The only thing that isn’t great about this snack mix is how quickly it dissapears. Once you have a bite, you won’t be able to stop. It’s super easy to make too! 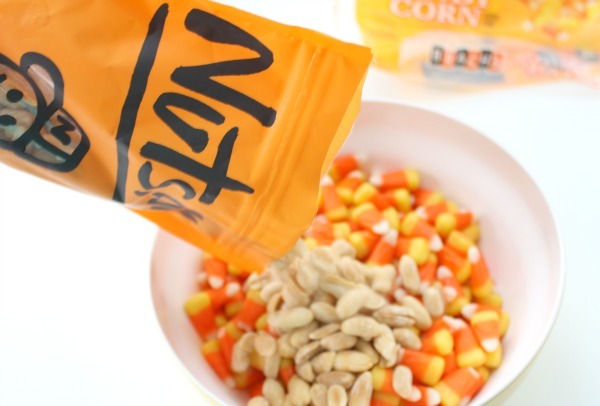 All you need are equal parts of candy corn and peanuts. Just mix them together in a big bowl. This afternoon, I made my first batch and grabbed a nice cup of coffee with my favorite International Delight Caramel Macchiato creamer. 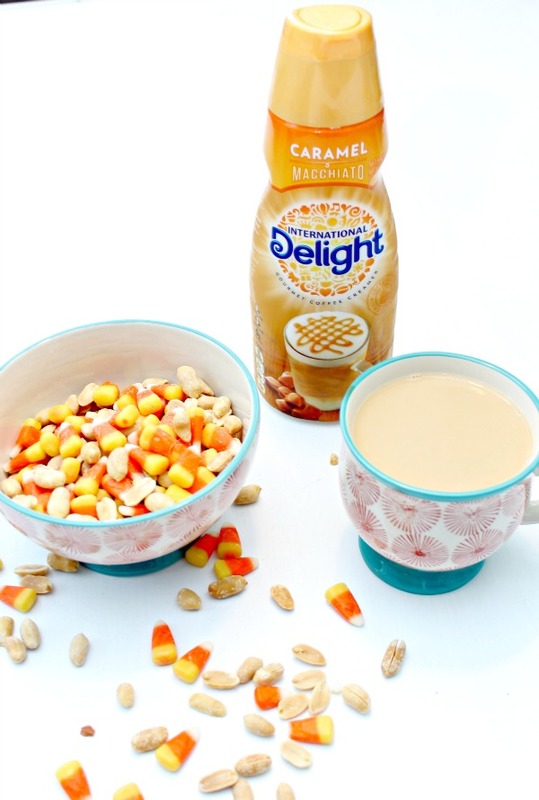 It’s the perfect companion to go along with my candy corn snack mix! 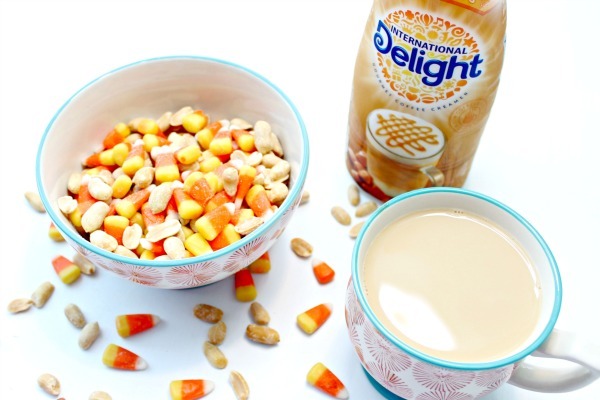 So, make yourself some candy corn snack mix, grab a cup of coffee, add your favorite International Delight creamer and take 10 minutes for yourself, and most importantly, enjoy!!! « Turn A Glass Bottle Into A Lamp In Minutes!